In our article, “Log Homes and Shrinkage“, we illustrated and discussed shrinkage channels. 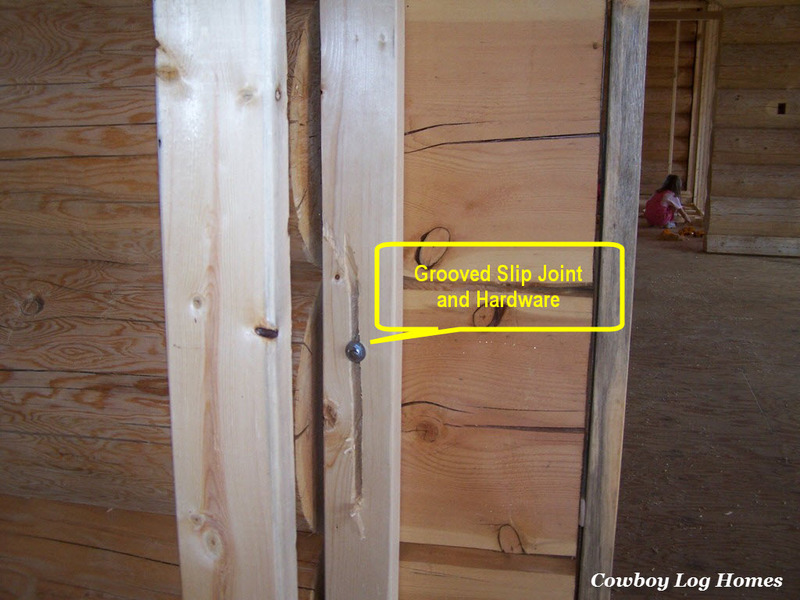 Now we would like to share with you an illustrated article regarding slip joints. 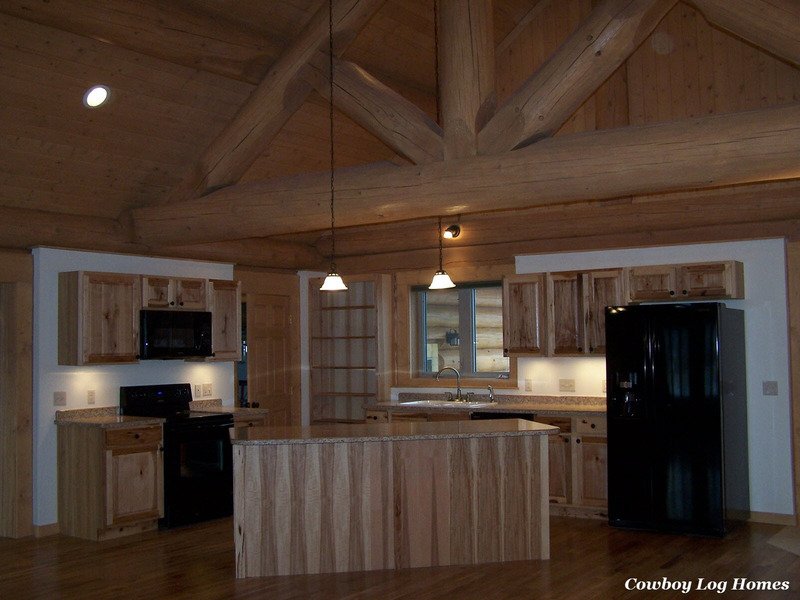 Log home shrinkage is not something to be overly concerned with, so long as the log home construction is done correctly. Shrinkage and settling of logs is a natural process that occurs with all log homes, even if just slightly. 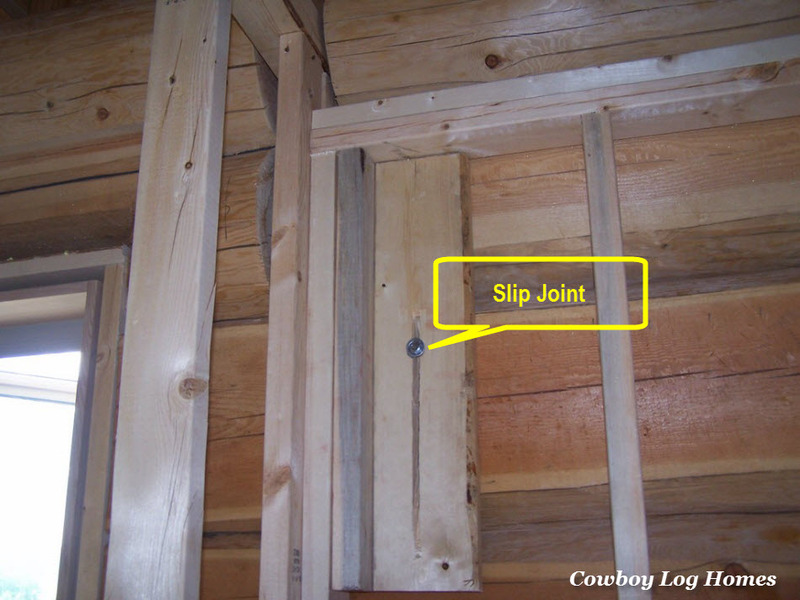 The two main components utilized in log home building to accommodate the shrinkage are Shrinkage Channels and Slip Joints. In case you have not read the companion article to this one, let me touch on shrinkage channels just briefly. 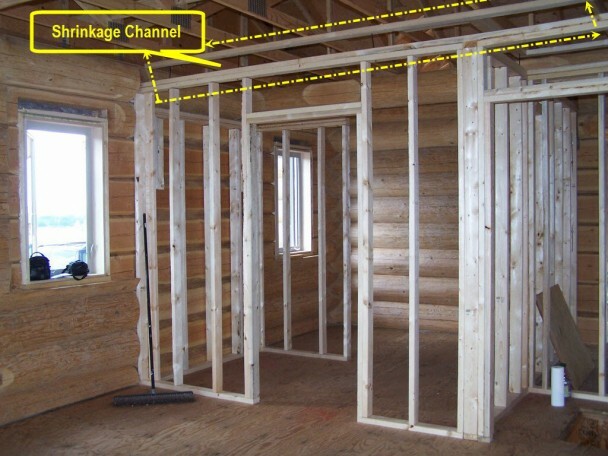 Shrinkage channels are a horizontal space that is intentionally left at the top of an interior framed wall to allow the logs to settle without putting pressure on the drywall or interior wall finish. A slip joint is used where the framed wall attaches to the log wall. 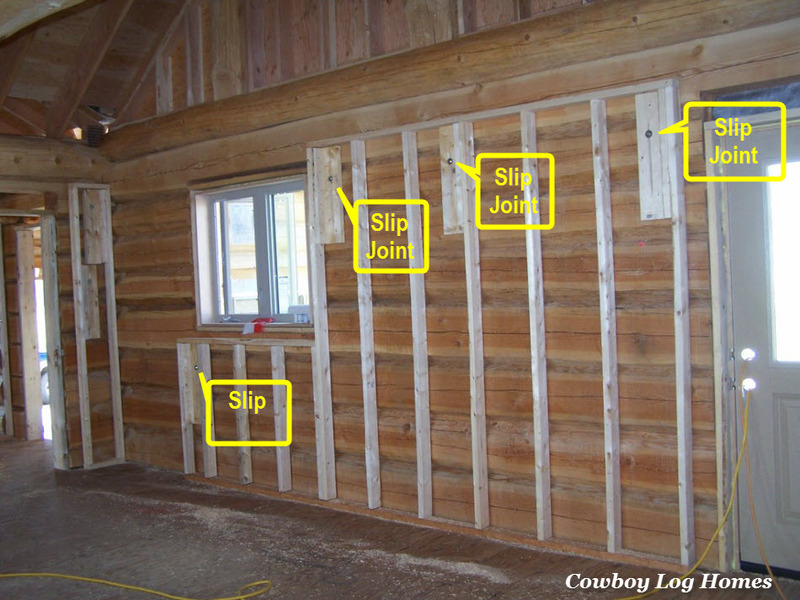 This allows the framed wall to stay stationary while the log wall can adjust. When the interior framed wall is fastened to the log wall a vertical groove is cut into the board. Then a screw with a washer is screwed into place. This allows the log wall to move freely while not binding or applying pressure to the framed wall. 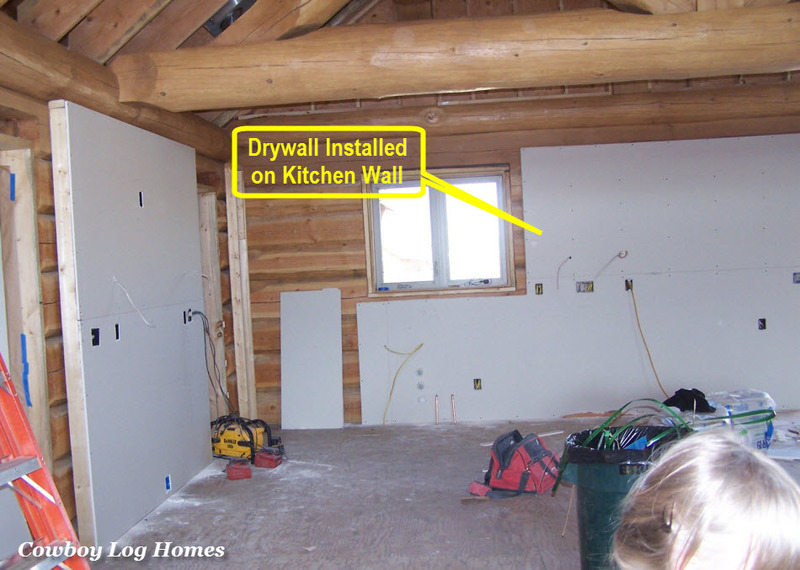 Remember, framed walls are only partition walls in log homes and are not structural. When kitchen cabinets are to be hung along a log wall the slip joints with the framing is key. Here we see framing applied to the log wall. Then the cabinets will be hung on the framing, not on the logs directly. The slip joints keep the cabinets from being damaged if the logs shrink even slightly. Dry wall will be hung over the framing then the cabinets will be screwed in place through the drywall back to the framed wall. Log home construction is not rocket science, but it is unique in and unto itself. To be built correctly log homes do require that a builder is either educated about specifics such as these or that he becomes expert in these areas. 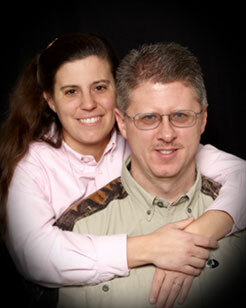 Log home plans include details on shrinkage. It is a foolish builder or homeowner, in my opinion, that boldly states that they can build a log home that will not shrink. That is simply not true. Shrinkage possibility can be reduced through very low moisture content logs with small diameters, but the logs will never loose their innate ability to shrink and expand depending on the environmental conditions (i.e. hot humid day causes slight log expansion and bitter cold days cause logs to shrink) around the home. At times we have seen homes where the builder/owner did things to dry to keep the logs from moving. Window bucks have been framed to keep the logs from moving. In this case the stacked rows of logs can start to pull apart some. For windows that have logs stacked directly onto of them the logs put pressure on the windows. If you look closely at those windows you can see torque or flex in the windows. So don’t fool yourself. Be sure to utilize the details provided in the drawings and adhere to standard log home construction practices.